Sportsman appeal meets family comfort. 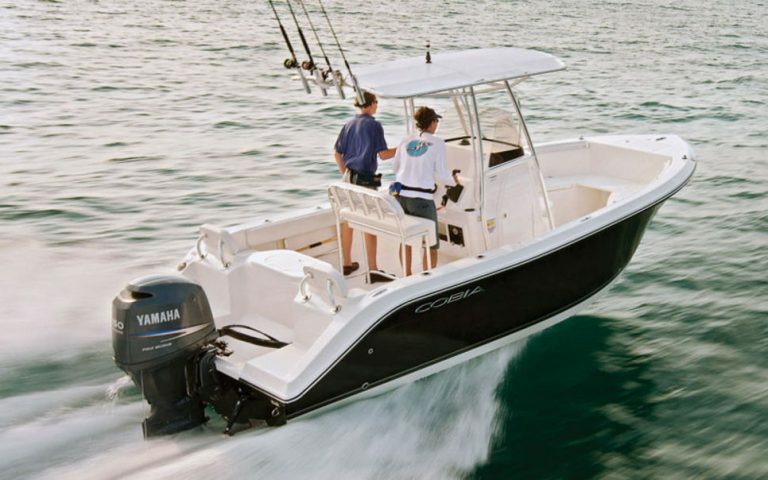 The Cobia is ideal for an offshore fishing excursion in the beautiful Gulf waters along the Englewood coastline. This center console fishing boat is fitted with bells and whistles any angler will appreciate – including a built in bait well, multiple rod holders and ample storage. We include a GPS, depth finder, and a chart /map at no extra charge, so you can easily navigate the waterways and discover some of the best fishing our area has to offer. Another included feature is an anchor puller, making it quick and easy to lift your anchor when you’re ready to move on to the next fishing spot. The Cobia also offers plenty of comfort. 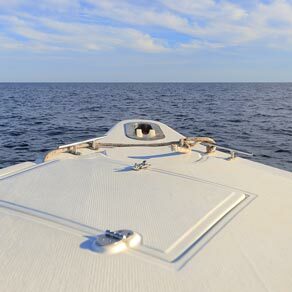 With an 8 person capacity, high sides and ample seating, the boat is roomy enough to accommodate the entire family. Rent poles from us, complete with rod, reel and plenty of line, for $10/day in addition to your boat rental. A cooler is also available for $15/day (ice included! ).